The purpose of the Education Foundation is to sustain York Suburban’s tradition of academic excellence and leadership for which it has long been known. 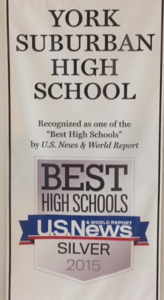 Did you know that York Suburban’s standardized test scores are consistently among the top in the region and the state? YSEF is determined to keep the district at the distinguished academic level it has achieved. By collaborating with students, parents, alumni, the school district and the community, YSEF provides a venue to support value-added academic experiences. 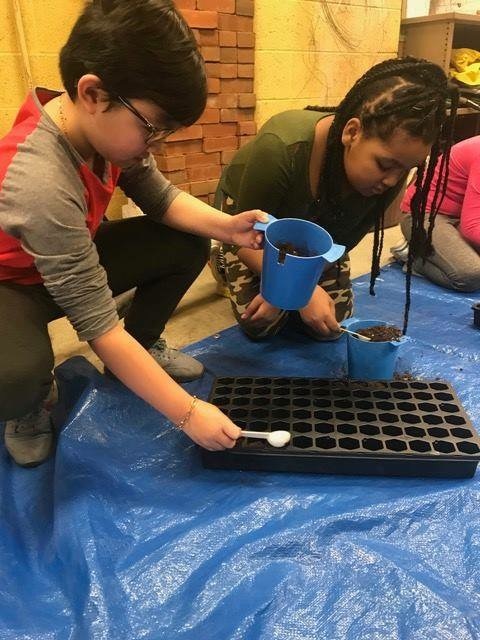 Through grants YSEF supplies the district with innovative programming and learning opportunities that set York Suburban apart from other school districts. In order for YSEF to continue granting additional innovative programs, your charitable contributions are needed. Help us create future community leaders and sustain the academic excellence of the York Suburban School District. We believe the future of the community is in the hands of our children. As proponents of education, we see no greater gift than providing our students with the best public education. Read our YSEF Back to School Flyer for more information. YSEF is a member of the Association of PA Education Foundations, a state affiliate of the National School Foundation Association (NSFA). Fall of 2016, US Dept. 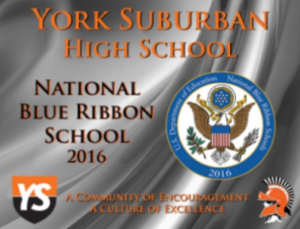 of Education names YSHS a National Blue Ribbon School. “Did You Know?” Nationally there are approximately 7500 local education foundations. In the state of Pennsylvania there are about 200 education foundations. There are seven (7) active education foundations in York County.